AABC offers unique advertising opportunities for companies and organizations to get their products and services in front of midwives, doctors, nurses, and others who work at, own, or are developing a birth center. AABC holds an annual conference where companies can exhibit, advertise, sponsor, and more. The conference brings together approximately 200 birth advocates from across the nation, including midwives, physicians, nurses, doulas, and birth center administrators. Conference participants are the decision-makers and leaders of the birth center industry, who make product and service purchasing decisions for their practices and centers. Click here to learn more about these opportunities or visit AABCBirthInstitute.org. AABC launches its online learning courses in 2018. 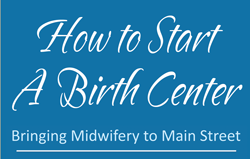 These courses include the Online How to Start a Birth Center Workshops (HSBC Workshops), Webinar Wednesdays, and Certified Birth Assistant Training. Pay only $595 for a 9-month subscription in the Virtual Exhibit Hall where you can share contact information, website links, brochures, video ads, and more. Are you already an exhibitor at the Annual Birth Institute? Then you can take advantage of our Special Introductory price of $300 for a 9-month subscription! Include a flyer or catalog of your business in the materials folders of our in-person workshop attendees. Each workshop has up to 60 attendees who are midwives, students, doctors, and entrepreneurs who are looking to open their own birth centers. Are you already participating in the Annual Birth Institute or the Virtual Exhibit Hall? Then save by paying only $100 for flyers and $150 for catalogs in all 2018 in-person workshops! Ready to sign up or need more details? Call or email Linda Baysore at the AABC office.